It’s A Wonderful Life, a sparkling new British production that premiered to critical acclaim in London last year, is set to tour the UK. The magical story of idealist George Bailey, whose dreams look set to be dashed by small-town scandal and big business, is based on Frank Capra’s iconic film. Retold as a radio play, complete with sound effects created live on stage, this loving tribute to the golden era of the wireless is a fresh take on a heartwarming and timely movie classic. Alone on a bridge, contemplating life, George Bailey decides that everyone would be better off without him… or would they? It falls to hapless guardian angel, Clarence, to try and save him. Bailey was played in Frank Capra’s classic 1946 film by James Stewart and the career-best role led him to be named No9 on the American Film Institute’s list of the 50 greatest screen heroes of all time. 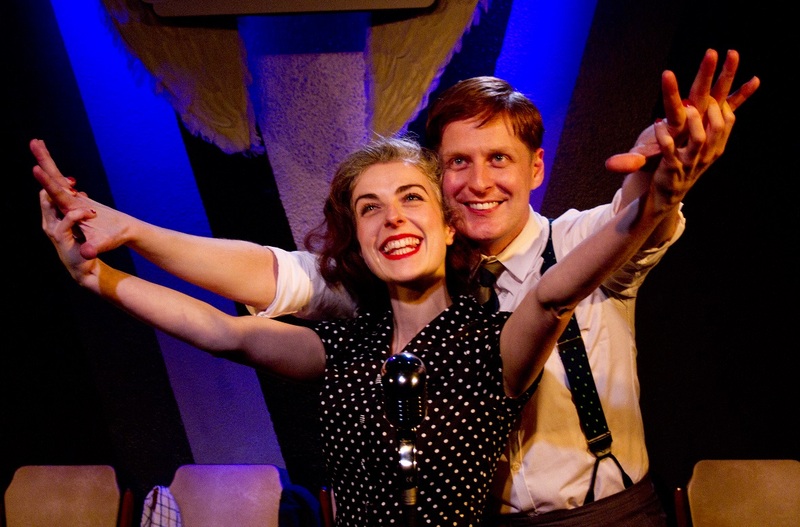 It’s A Wonderful Life had its UK premiere at Bridge House Theatre SE20, (read our review bit.ly/1xDJB7l) produced by Climar Productions and directed by the venue’s artistic director, Guy Retallack. Summer tour dates and cast will be announced soon.